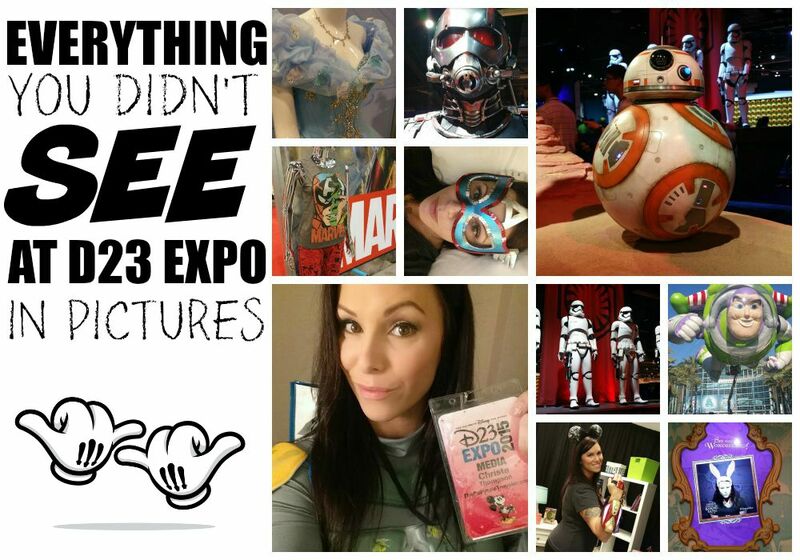 If you haven’t heard about my D23 EXPO 2015 adventure by now then you may be living under a rock. For the past month I’ve been blogging about the event (and still have a few more posts to knock out). Anyway, it was one of the coolest fandom experiences I’ve ever had. And that’s a lot coming from a chronic Comic Con enthusiast and overall fandom geek. I mean think about it… Disney is kinda taking over the entertainment world with their ownerships of Marvel Studios, Lucasfilm, Disney Pixar, Disney Interactive and of course we can’t forget the Disney parks. Disney is everywhere and they’re here to stay. They’re bringing fandom to a whole new level with D23 EXPO. I mean it’s becoming THE con to visit every two years; pimping upcoming film costumes, exclusive collections, merchandise, guest appearances, autograph sessions and hosting panels that simply do not compare to anything you could even imagine. I’m talking guest appearances, major, major, major film slate, park and gaming breaking news announcements at these panels. Love these Stormtrooper Mickey Ears from Etsy artist Kari’s Bowtique. Boys and girls, D23 EXPO is Disney exclusive heaven, and I was there for all of it. So without further ranting and raving, I’d like to share with you my experience in photos of this killer event to include the expo hall floor’s spread of movie props, products, costumes and randomness. John Lasseter’s shirt collection is pretty impressive to say the least. It took me the better part of one full day to take in everything on the movie side of the expo floor. Let me just tell you, the Anaheim Convention Center is enormous. I was pretty stoked to see John Lasseter’s famous Hawaiian shirt collection. This is not something you see at any old comic con. This is an exclusive D23 EXPO special. Of course I nearly fell over when I saw the costumes from Star Wars: The Force Awakens. There was a pretty steady crowd parked in front of the display for the entire weekend. As it should have been. It’s like standing next to (insert favorite deity here). We stood in a half hour line (on Friday) to get into this gem. It was way cool. I even got a commemorative poster. Winning. Of course I had a go. Alice in Wonderland: Through the Looking Glass had a pretty sweet photo booth which let you turn into all the main characters from the Disney film. Then, it even uploaded your pic to Instagram. It was a hoot and well worth the wait. I about died again when I saw the Marvel Ant-Man costume. Ohmigawd! This costume literally blows my mind. The movie is like one of my favorite if not my favorite Marvel movie ever. I loved Paul Rudd’s comedic relief in the film and the special effects going small to large was a trip. Love, love, love that movie. I spent about 10 minutes just taking pictures of the costume’s every detail. Left me and Ant-Man whaaa, center Guardians of the Galaxy Space Pod, bottom Iron Man fist (I think). There was also the Guardians of the Galaxy Space Pod, an Iron Man fist and yes one more shot with Ant-Man. I felt at most ease in this general area haha! In fact on my last day there I just kind of vegged out on the bench next to Ant-Man… you know, we kicked it and stuff. There was also the Disney Pixar Animation Studios on this side which was cool. They had giant statues of Woody and Buzz Lightyear made from Legos. Always a win for me. They also had fine art displays of various films and a trailer running for Finding Dory (2016). And of course I couldn’t resist snapping a couple of the life-sized Disney XD Star Wars Rebels. I really wish my son was there for this one, he would have absolutely LOVED this. So there was a lot of merchandise on the floor. I mean you name it and it was there. From luggage to headphones and everything between, there was (a lot of Star Wars stuff) a ton of new products from Disney. A lot of it was hard to get to. People were waiting in lines for hours for certain things. I had to be in panels so I could bring you the latest news on movies, games and parks so I couldn’t get it all, but here’s what caught my eye. Marvel wear shweet! I totally loved this display and can’t wait to get my hands on this gear. Loved the Marvel clothes for girls. I can’t wait to get mine! There was so much in the way of new gear for Marvel. Hot Topic is selling these. This was a cool display of Stormtroopers on the product side of the expo hall. These were actually only like 6″ figures all lined up. Looked pretty rad so I took the picture. Had to squeeze one in with a Stormtrooper as Boba Fett in my Party City costume. And let me just tell you something. You haven’t lived until you’ve seen a Jelly Belly Yoda… Seriously. This little puppy was a project in the making literally the entire time I was at D23 EXPO. I almost wonder if the girl actually ever finished it. I don’t know about her but I would have been popping those Jelly Bellys like crazy. Seriously, there was hair styling… seriously. I can not begin to tell you how excited I was to see all the new stuff coming for Disney Infinity 3.0. Seriously guys, this game is so rocking. I sat in the Disney Interactive panel that day and heard (and saw) first hand all that’s in store and let me tell you…. Disney is WINNING. Start saving your milk money now for the characters because Christmas is around the corner and your kids… they will be begging for them. Gauge got his on the release day and he loves it! I love it too, it’s so fun. So there’s a Cinderella inspired wedding dress… no really. Oh and a giant Lego slipper too! If you’re looking for the Frozen inspired wedding dress they have one. I didn’t get to it but I know it was there. It was a fab time with these fine blogging mamas. Thank you Party City for the Boba Fett costume hookup which is available at Party City now. It was seriously the most comfortable costume I’ve ever worn. I had an awesome time at D23 EXPO 2015. There was so much to see and do, it really was unlike any other fandom event I’ve ever been to. My number one tip is do as much as you can in the expo hall on Friday, it’s the slowest day. I can’t wait for what’s to come for 2017. Till then, adventure on! Disney sent me on an all expenses paid trip to D23 EXPO. This in no way shaped my opinions in this post. Party City sponsored my costumes for Alice and Wonderland and Boba Fett.